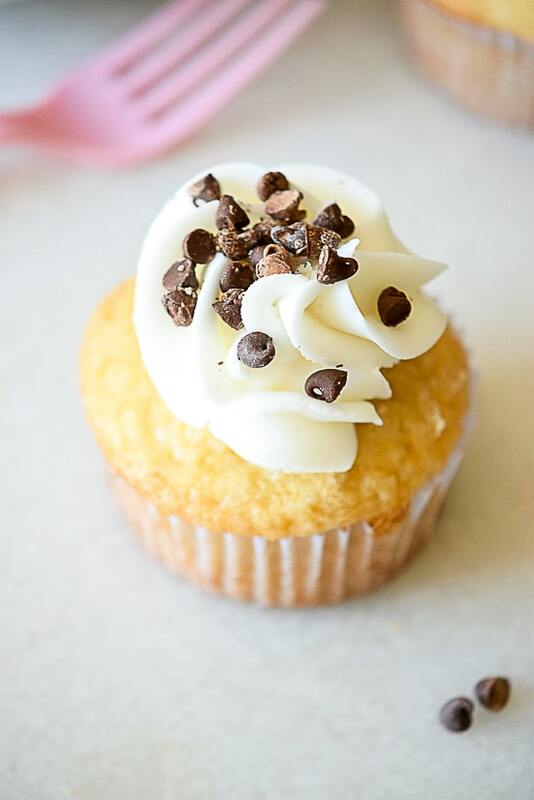 A classic and favorite, this Chocolate Chip Cupcakes recipe morphs your favorite cookie into a cupcake with a dollop of sweet buttercream on top. Well, I know everyone else is probably gearing up for healthy eating mode, but I’m still stuck in baking mode. For now anyway. We have one last holiday celebration this afternoon, so next week I’ll be joining the masses with salads and gym memberships (I’m waiting until next week because I’m making some of our favorite family recipes, and I’m hoping for leftovers to snack on… Don’t want to fail right off the bat!). Anyway, let’s start the year on a classic, sweet note with these scrumptious Chocolate Chip Cupcakes. 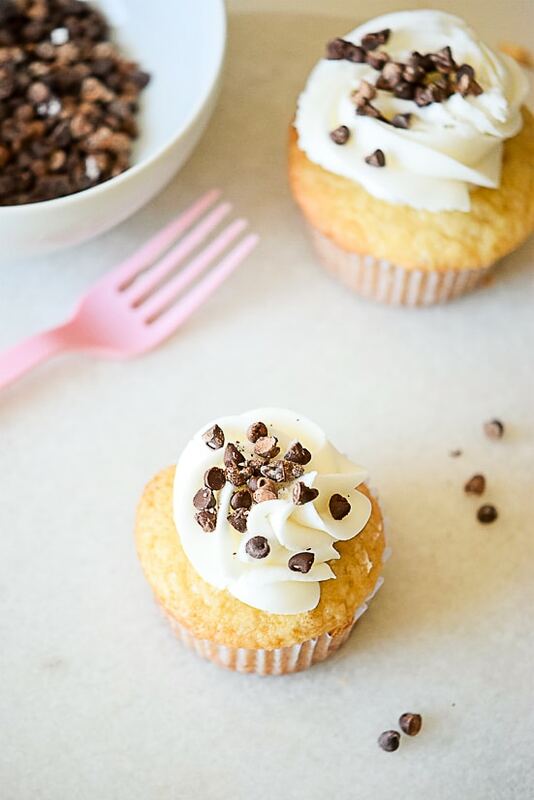 Everything about them screams sweet comfort food goodness, like a chocolate chip cookie morphed into a cupcake and topped with a dollop of sweet buttercream. 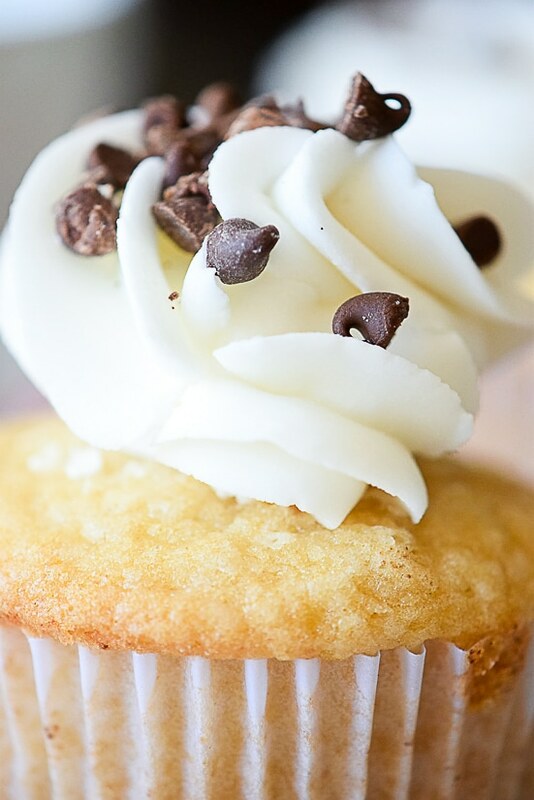 You can go pretty much any route with the frosting on these chocolate chip cupcakes. Chocolate, vanilla, cream cheese, or even store bought. 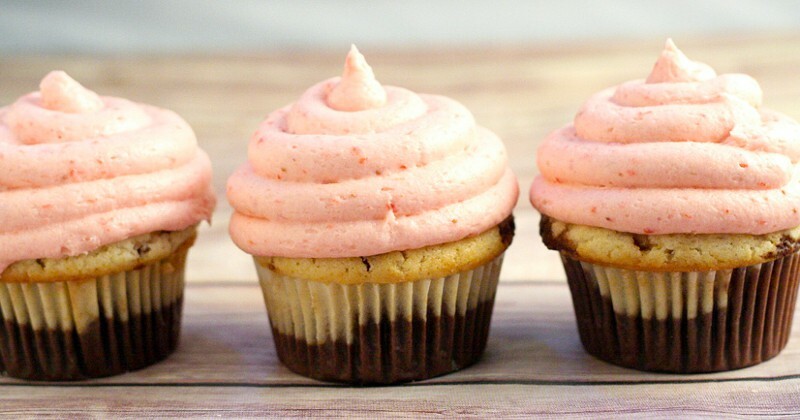 I also have a marshmallow frosting recipe that’s totally amazing on these cupcakes. 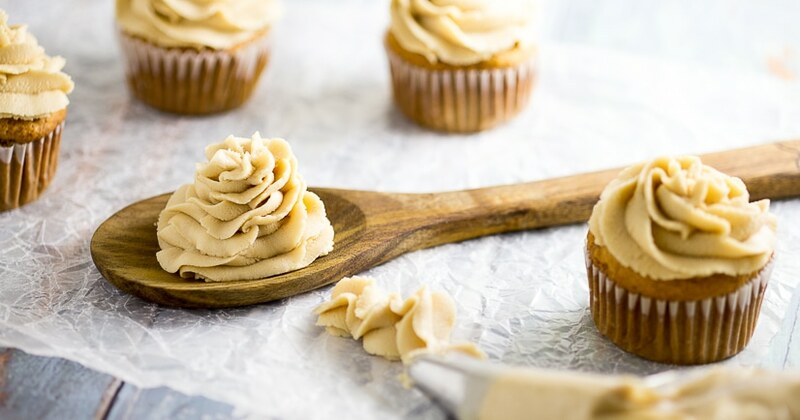 I usually opt for a classic and simple vanilla buttercream (check out my vanilla buttercream recipe HERE) because you just can’t go wrong with American buttercream, in my humble opinion. 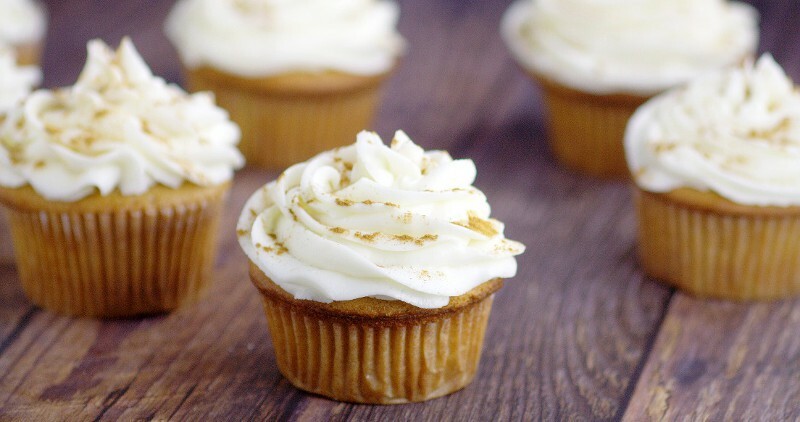 Enjoy these for a party, a birthday, or just because! Happy New Year! Mix together flour, baking powder and salt in a separate bowl. Alternate adding flour mixture and buttermilk to the creamed mixture in 3 batches, beginning and ending with the dry ingredients. Beat after each addition, just until combined. 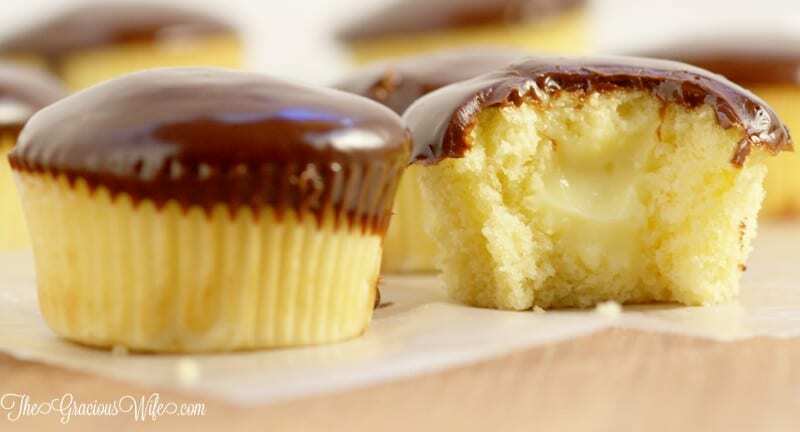 Line a lightly greased muffin pan with cupcake liners and fill each liner 3/4 of the way full. Bake in a 350° oven for 18-25 minutes, or until a toothpick comes out clean. If you don't have any buttermilk on hand to make this recipe, you can use this super simple Buttermilk substitute with just 2 ingredients. It always works in a pinch! 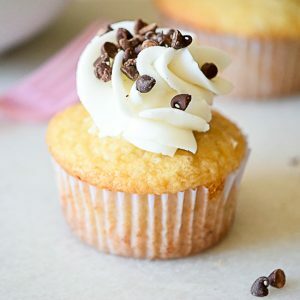 Did you like this Chocolate Chip Cupcakes Recipe? Find more on my Cakes & Cupcakes and Desserts boards on Pinterest!